Infinity Document Solutions provide Ricoh and Develop copy,print & scan technology and software solutions so that businesses and organisations are able to produce, duplicate, integrate, store and retrieve their documents in an efficient and easy manner. 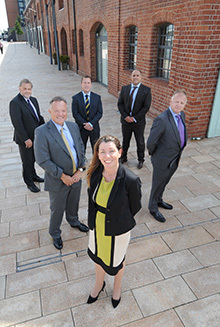 We are an independent company with offices in Swansea and Cardiff and our five directors have over 130 years industry experience. Our dedicated team offer a very local and personal touch to both sales, service and administration of your account irrespective of size of your business. All of our technicans are fully trained and qualified on the products we support and partner to the manufacturers highest standard. Since the companies inception, Infinity have gone from strength to strength and has almost doubled in size in a short time. This growth has not gone unnoticed and we were awarded Develop’s Welsh Dealer of the year 2014, South Wales Chambers of commerce Business Awards finalist and most recently Swansea Bay Fast Track 2015 member. With all of the experience and knowledge Infinity has to offer your business, you can be assured that it will benefit from a professional ethos and that the person you dealt with last time will be on hand next time to deal with any matter in a prompt and efficient manner. Friendly and personal account management. Professional advice to ensure the right product or software to your business. Remote Pro Active monitoring of equipment. Under 4 hour average response time to breakdown calls. On site servicing by qualified technicans. Automatic meter readings for accurate billing. No call centre or left holding while you are put in a queue. Finance options to suit every need.